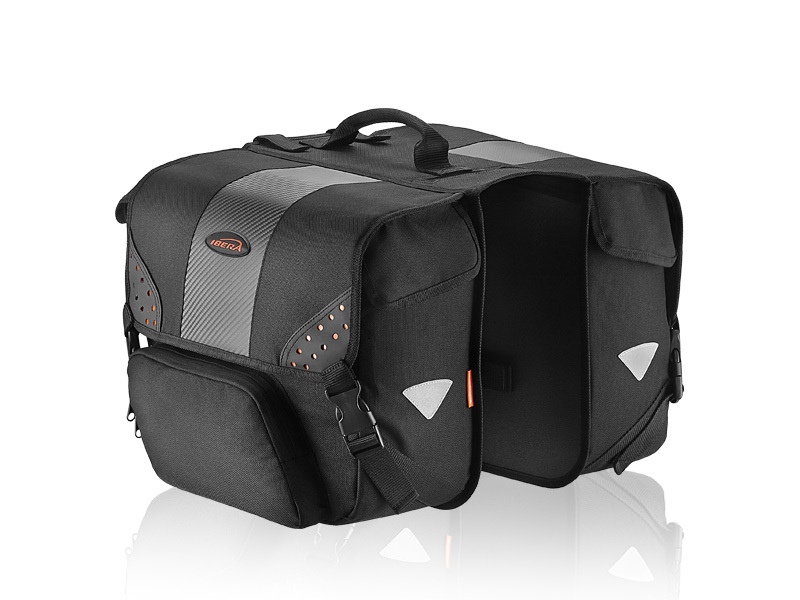 Features 2 Large compartments, 2 side pockets, Hand-carry strap, Reflective strips. Size: (per bag) L: 32 cm (12.6"), W: 15 cm (5.9"), D: 300 cm (11.8"). Capacity: (pair) 28 L (1708 ci). Carrier Compatibility PakRak IB-RA4, IB-RA5, IB-RA15, IB-RA16. Most other touring carriers. 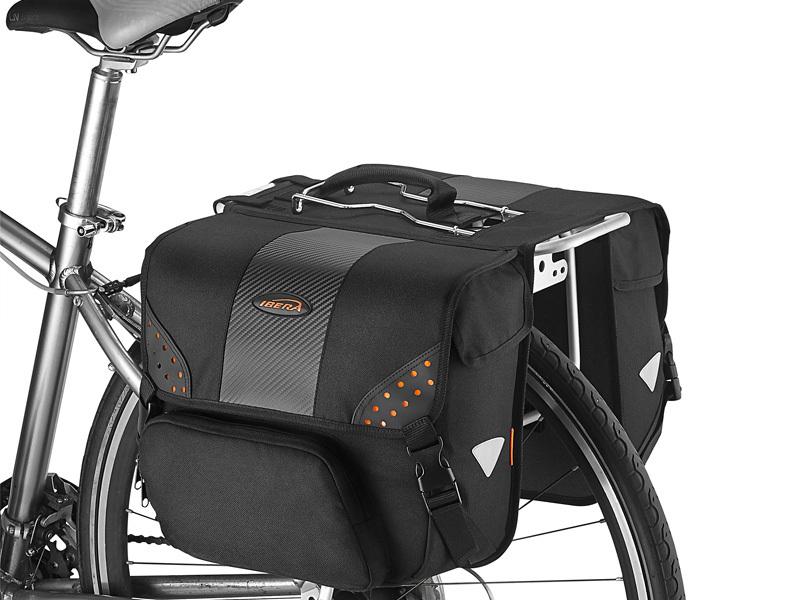 Compatible with spring clip-equipped carriers.